When it comes to achieving success in the restaurant business, there are a couple of factors that make all the difference. Of course, the quality of the food is one, but a second important point to consider is the standard of service. And one of the best ways to ensure that this is as high as possible is by keeping your serving staff happy. So, here are just a few of the best ways that you can ensure they all remain satisfied and pass on their happiness to your customers. Everyone wants to feel like they matter in their company, so you need to ensure that all your employees feel satisfied. A simple way of doing this is with an ‘Employee of the Month’ program, along with some sort of tangible recognition of their achievement like a trophy. It is also a good idea to get your serving staff together on a regular basis to tell them how much you value what they are doing. Investing in your employees doesn’t always have to be financial, though this usually helps! So, you may need to a W2 creator. Another way that you can invest in your employees is by offering them training courses, so they can improve their skills. This is a great way of showing your employees that you value what they are doing, and you are willing to invest in their futures. It takes some time for your employees to learn the ropes of your company, so it is always a bonus if you can hang onto staff members for an extended period of time. To encourage them to stay with you, you could offer rewards to the most loyal members of staff. So, you could offer than cash prizes for clearly defined periods of service. Though this may seem like a lot to invest, remember how much it costs to continually train up new staff on a regular basis. Employees love it when they feel that they are a part of the decision-making process, so you should take the time to listen to their opinions and possibly even implement changes based on the ideas they have. Also, working collaboratively with them when you are planning shifts is a good way to ensure that everyone feels like they are being treated fairly. Of course, you are running a business, but people want to work in a fun environment. For example, you could offer a break room where they can unwind at lunchtime with a TV and other forms of entertainment. Also, you could try out some team-building exercises to create a more enjoyable atmosphere amongst your entire workforce. 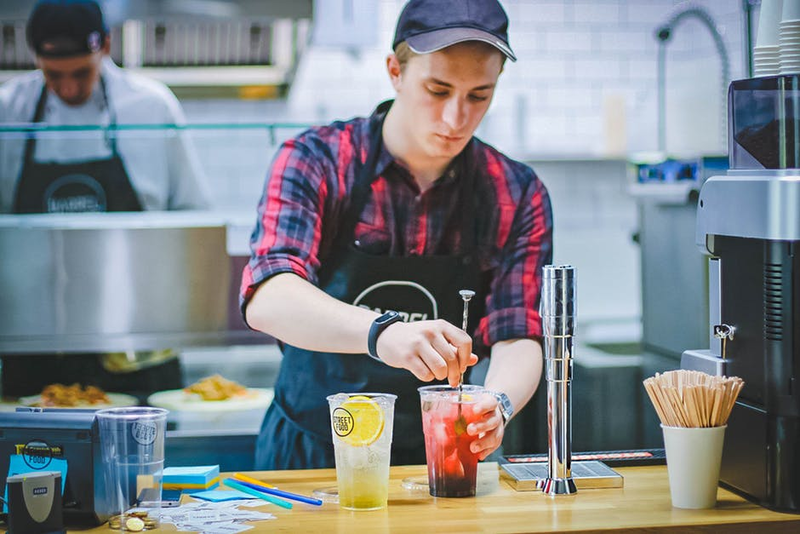 Keeping your team happy should be one of your top priorities as a restaurateur, and these are just a few of the ways that you can do this better. Ultimately, you need to be innovative to beat your rivals and hold onto the top members of staff. 6 Proven Reasons Why Entrepreneurs Fail!